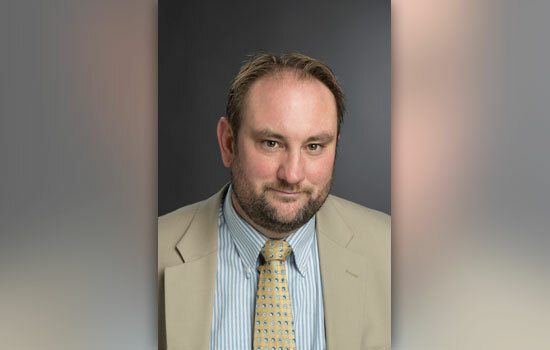 Michael Laver, chair of the Department of History at Rochester Institute of Technology, has been named an ACE Fellow for the 2018-19 academic year by the American Council on Education (ACE). The ACE Fellows Program, established in 1965, is designed to strengthen institutions and leadership in American higher education by identifying and preparing faculty and staff for senior positions in college and university administration. Forty-five Fellows, nominated by the senior administration of their institutions, were selected this year. Laver, who was nominated for the program by RIT Provost and Senior Vice President for Academic Affairs Jeremy Haefner, will spend the academic year at a college or university to be determined later. The ACE Fellows Program combines retreats, interactive learning opportunities, campus visits and placement at another higher education institution to condense years of on-the-job experience and skills development into a single semester or year. ACE Fellows spend an academic year working with a college or university president and other senior officers at the host institution, while also developing a network of higher education leaders from across the country and abroad. Nearly 1,900 higher education leaders have participated in the ACE Fellows Program over the past five decades, with more than 80 percent of Fellows having served as senior leaders of colleges and universities. Laver, who has been at RIT for 10 years, teaches East Asian history. His research focuses primarily on the Dutch East India Company, and more broadly, early modern Japan. His most recent book, The Sakoku Edicts and the Politics of Tokugawa Legitimacy, was published by Cambria Press in 2011. He served as co-chair of RIT’s accreditation process (Middle States Commission on Higher Education) in which RIT was one of 15 institutions piloting new accreditation standards. He also served as chair of the Academic Senate for two years, a time in which RIT adopted an ambitious new strategic plan and overhauled its tenure and promotion policies. And he served as program director for international and global studies, an interdisciplinary degree program in the College of Liberal Arts in which position he was responsible for overhauling the governance of the degree program to reflect a more robust interdisciplinary involvement. Laver is an ordained priest in the Episcopal church and serves the parish of Saint John’s in Sodus, N.Y. He serves on the board of the Lutheran-Episcopal Campus Ministry at RIT and teaches a course in the histories of Christianity.